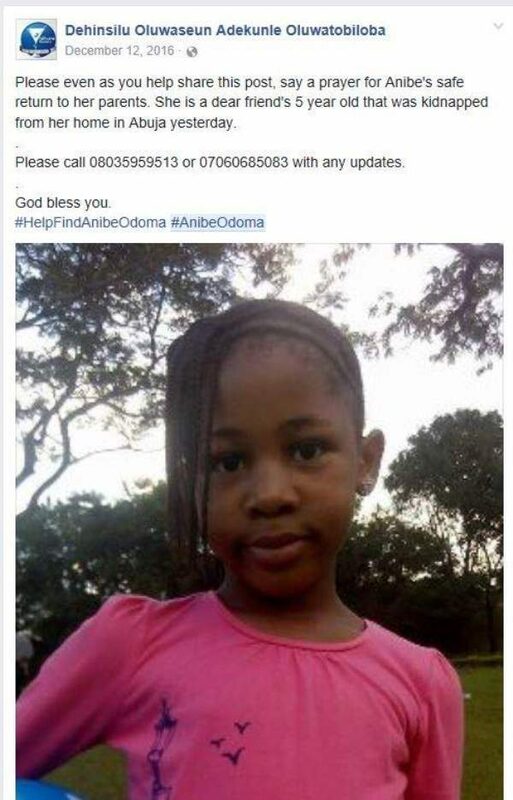 FACT CHECK: Was Anibe Alexandra Odoma Kidnapped In Houston? 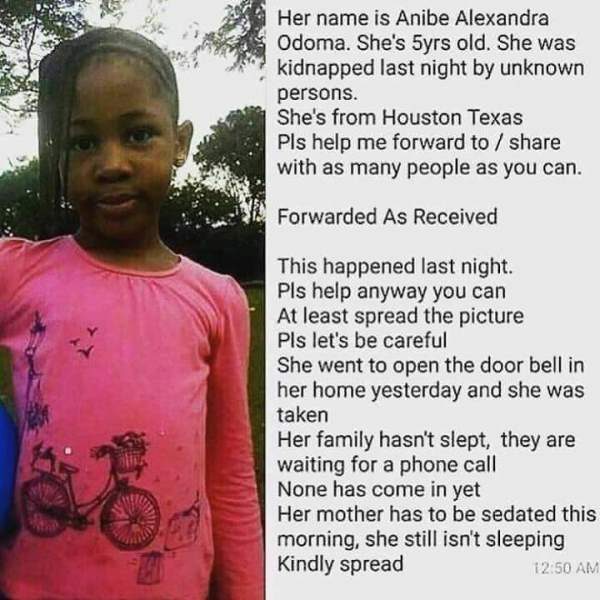 Was Anibe Alexandra Odoma Kidnapped In Houston? Social media posts falsely stated that the 5-year-old Nigerian abduction victim -- who has since been rescued -- lived in the U.S.
Five-year-old Anibe Alexandra Odoma was taken from her family's home in Houston. 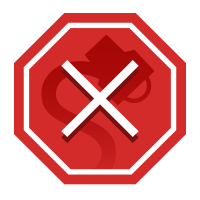 A child’s kidnapping in Nigeria in late 2016 was erroneously said to have occurred in Houston, Texas, in posts that began circulating online in May 2017. She was kidnapped last night by unknown persons. Pls [sic] help me forward to / share with as many people as you can. Two days later the news web site CKN Nigeria reported that the girl had been rescued. We called one of the phone numbers seen in the original post concerning her disappearance and a man identifying himself as her father told us that she was safe.